We are only 6 weeks away from our 7th annual TL5K, and 1 week from the Kick Off Event! Have you ever felt like nothing you did was right? Like each mistake led to 10 more? Have you decided to stop trying because it wouldn’t make a difference anyways? Unfortunately, we see this hopelessness in the lives of the teenagers we work with way too often. It is difficult to speak truth and encouragement without being another voice of disappointment and judgement. The great thing about Teen Lifeline Support Groups is that we can have honest and difficult conversations while encouraging them to make their own decisions. Ricky, our Executive Director, was able to have one of these conversations. 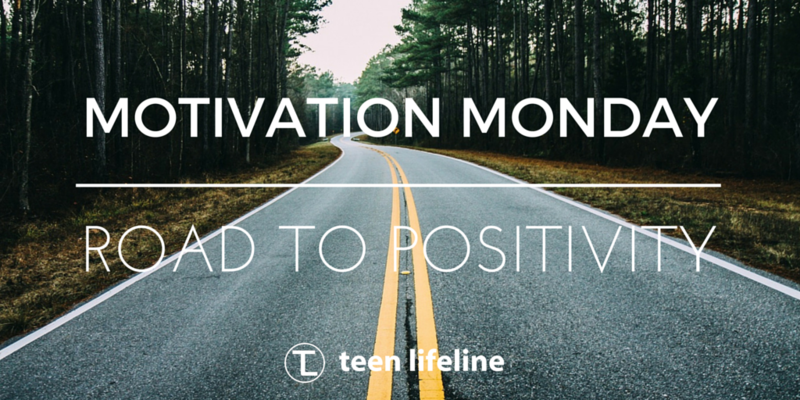 While that teenager you are talking to might not turn their life around within a day, week, or month, by opening doors and introducing positive steps, we are setting them on course to make a lasting change for the better! In one of my earlier groups, I had a great conversation with a student, but I hope I handled it differently than most people would have. I’ll tell you how it went and let you decide. The goal of the lesson this day was to discuss the type of coping skills students choose. Out of that, we talked about the positive or negative effects of their chosen method. As we discussed the different choices students were making, marijuana came up several times. Obviously, we talked about the negative consequences of this such as being illegal, gateway drug, long term effects, etc.. But mainly illegal. One of the students spoke up and said that all I was doing was telling him the same things his parents have told him since he started smoking pot at age 8! I responded that was not my intention. I could tell him that all day but until he found a reason not to smoke, it wouldn’t matter. The principle I was trying to relate was that real change can not happen until the person needing to change takes ownership, in this case finding a reason to not smoke pot. Behind this conversation for me was knowing that people are typically motivated intrinsically or extrinsically as Lucille Zimmerman writes in her post on Michael Hyatt’s blog. After a few minutes, one student spoke up and shared that his girlfriend being pregnant could be a good reason to stop. I enthusiastically responded, “Yes!”, that is exactly what we are looking for. What is it that is going to make it worth it…to him? The fact that it is illegal hadn’t stopped him yet, but my hope is that enough conversations like this just might. Not because of my ability to tell him what to do, but because he is thinking through what he really wants out of life and how the choices he makes impact his future. This is what we encourage all of our facilitators to do, open the door, join in a conversation, empower students to think about and make their own positive decisions. If you would like to help Teen Lifeline by fundraising for our 7th annual #TL5K, please join our free Kick Off Dinner on March 1st! Get more information about the Kick Off Event here.